Buying a property can be an expensive process and it seems there is an endless list of things to pay for: legal fees, surveyors, mortgage fees, removals etc. Many homebuyers will want to keep costs as low as possible and avoid paying for unnecessary services. So, is an RICS home survey worth paying for? In the UK, you buy under the principle of ‘caveat emptor’ or ‘let the buyer beware’, which means it is the buyer’s responsibility to ensure there are no issues with the property. An RICS survey will highlight hidden defects and parts of the property that require repairing or maintaining. It is important you are aware of any issues, as after completion you will have to pay for any works required. In 2014, the average cost of repairs to properties purchased without an independent survey was £5,750. If you are unfortunate enough to uncover more serious defects, the cost can far exceed this and in 2014 17% of buyers without a survey faced repair bills of over £12,000. With property prices in England and Wales now averaging £189,901, rising to £534,785 in London, it is important to ensure you are paying the right amount for your property. A common misconception is that the mortgage valuation will tell you if you are overpaying, however the purpose of the report is solely to advise your mortgage provider whether to lend against a particular property. 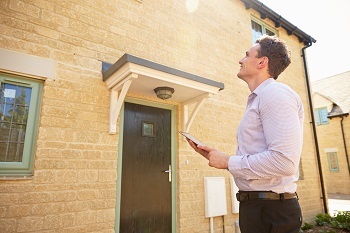 An RICS valuation report or the valuations included in the homebuyer report or building survey will give you the true market value of a property. The reports take into consideration defects uncovered, repairs needed and are far more in-depth than a mortgage valuation. This will help to ensure you pay a fair amount for your property and can help to save thousands of pounds from the asking price. The support of a surveyor during the home buying process is invaluable, but it can also be extremely useful after completion. Depending on the type of survey you commission, it will give detailed information about parts of the property which may need repairing or maintaining in the future. This is especially true for properties that have an unusual construction or complicated lease. Your surveyor can also advise you on any plans you have to extend or alter the property in the future. Usually, making structural alterations or additions to a building will require the advice of a range of expensive professionals – from structural engineers to architects. A chartered surveyor combines knowledge from all of these professions, which makes them the perfect initial consultant. Buying a property is very expensive; however not commissioning an RICS home survey is a false economy. A chartered surveyor will provide you with invaluable information and support throughout the process, which will help you save money before and long after completion. "My family have been renting out a property through Ankers Lettings department for over 15 Years and have never experienced any problems. Margaret and the team are both friendly and professional and have managed all aspects of the property in an efficient and caring manner. We would highly recommended this agency"